and now nothing can be done except crying everytime i remember you,though you'll forever be in our hearts. Listen to Avicii- the Final Level by the Davenport Pops Orchestra on YouTube. Thank you Tim for inspring me and rest of world. You and your music will live FOREVER in our hearts. Thank you for everything! I wish I could have personally thanked you for your songs. You filled my heart everyday with light and hope and still do you. Rest in peace, my brother. Childhood memories... Gone.. Most talented guy in this world... His dead is so devastating for me... Anxiety and depression is a topic to talk about! Rest in peace hero! I remember seeing him live at Ultra Miami 2015 and it was an unforgettable night for my first EDM concert, and Avicii made it possible with his performance. You were my first love in electronic music. I’ll never forget the first time I heard "Levels” in a dorm room in college. Your music had a way of speaking to me that nothing had before - it went on to help me through some of the darkest moments of my life. Seeing you in Paris on Valentine’s Day 2014 will forever be one of my most cherished memories. Thank you. I love you. I will miss you forever. you is a legend in my life your songs were changed my life. i had no words to say about your dead. i love you legend. no one cant take a place you had in my life. love you. Dear Avicii, it's been six month you left us. How are you up there? Me? Yea I miss you. His music brightened my world. Dafür habe ich unendliche Dankbarkeit. Avicii's Wake me up was the song that impacted me and my aunt's relationship. My aunt lives in a different country and over the summer I stayed with her when I was in 3rd grade. This song was loved by me and my aunt and we jammed out in the car with this song. Me and my aunt got closer than ever. Till today, me and my aunt are like bestfriends. 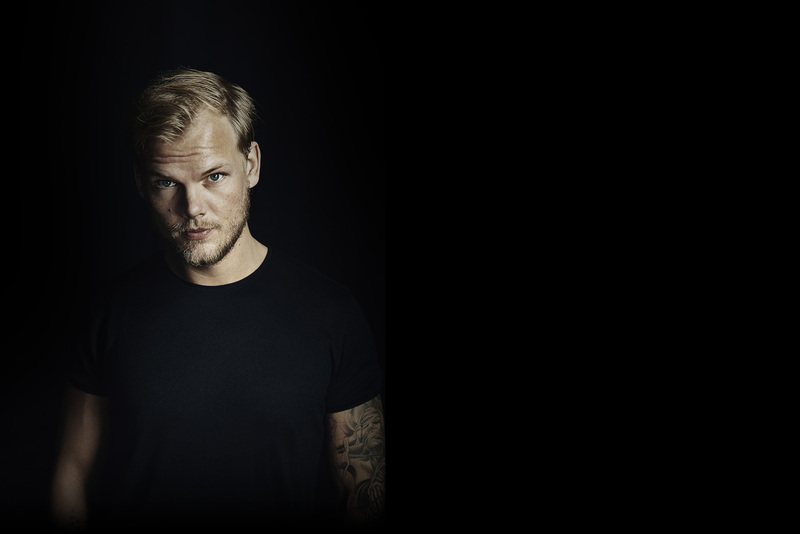 Thank you Avicii and you will always be remembered in our hearts. Dear Avicii, Thank you for sharing your masterpieces and melodies with us, we will always listen and remember them. Absolutely no one could replace you and your melodies. Without your music I wouldn’t be where I am today. You keep me going and make me push the limit to dream bigger. I will listen to your music til the day I die, I will try to live my life like you told us to. You were gone too soon, I will keep going and never give up for you, Rest well Tim. It is so peaceful and mesmerizing to listen to that 'Wake Me Up' beat. You will always remain close to the hearts of everybody, no matter what !!!!!! Your music was just out of the world, Tim a.k.a AVICII Love. Avicii, you made us discover another style electro music, you had your own signature. you will always remain in our heart and in our ears, people will not be able to replace you. A big thank you for giving us these moments of happiness through your music. we miss you, your life was short, you did not deserve to leave so early. rest in peace. Ero a casa di un amico, nella sua playlist random vi era Wake me Up, una volta sentita è stato amore a prima vista. Capolavori dopo capolavori, da True a Stories, canzoni ricche! La tua morte mi ha profondamente scosso e alle volte mi rende triste sapere che non sei più fra noi. Ma una cosa è certa, rimarrai sempre con noi grazie alla tua musica, a quella cosa che amavi tanto ma che alla fine ti ha schiacciato. Ciao tim! I have always loved your music and always will. I still cannot believe that you are gone. I will always miss you. Hey brother, Tim! ты навсегда в моем сердце! Очень жаль,что я так поздно узнала твою музыку. Вспоминаю о тебе каждый день. Твоя музыка помогает жить. Спасибо за твое творчество! There are those who bring to the world such a great light, that even after they have gone that light remains. You are still with us, Tim. Amo la tua musica, sempre. Sei come un fratello musicale per me. Spero che adesso, nel paradiso, stai insegnando gli angeli nel produrre musica.. come la tua. AVICII IS HERE FOREVER, WITH US! Avicii's music is what got me to love music from the beginning. It showed me how music can really move a person both physically and emotionally. He was a real inspiration to me. Thanks for everything. Miss you! He said, "One day you'll leave this world behind, so live a life you will remember." Those words still send chills. You lived a life everyone will remember, I hope you know that. Wish we had met and maybe you'd still be here. Lots of love. The first time I not only heard music I also felt it. Thanks for that. Thank you for introducing me to electronic music. I'll always cherish my memories of listening to your songs on repeat. Thank you for bringing us so many good music. RIP my King. I never met him in person but I first met his songs in my highschool years and i think his songs have led my way to electronic music. And i kept listening since then. Whenever i listen an Avicii song, i travel in time and get goosebumps. Thanks Avicii for those beatiful songs. Love. My inspiration. My guy since I was a kid. Thank you! Thank you for being such a great inspiration to millions of people. You were and are my inspiration to become a Dj. Thank you. Tim.. Hey :) at 18, I was introduced to EDM music by my friend Luna. It was Wake Me UP-Avicii. a week after we were at my first rave party! and I saw you. You played and I fell in love with the culture. The night I heard this shocking news, I was on the dance floor dancing in the club. I sat in the toilet & mourned the loss of you. Then I was in Bali and they played a short beat of yours Avicii. The whole crowd roared. Hope that delighted you Rest in Peace baby You will always be in my heart. I know your in a better place now and I really wish I could have met you,Tim. You are an icon,a music genius,the best I know and will forever live in our hearts. We have your music to comfort us and it might not be the same knowing that you're not making more music. Your music made me feel at home wherever I was and knowing that we still have that makes me happy. Your are one of the reasons I love music. I miss you Tim. Your music and memories are forever, Avicii.